FURNISHED, 2 bedroom/2 bath condo located in the gated, waterfront property of the Grand Venezia at Baywatch. 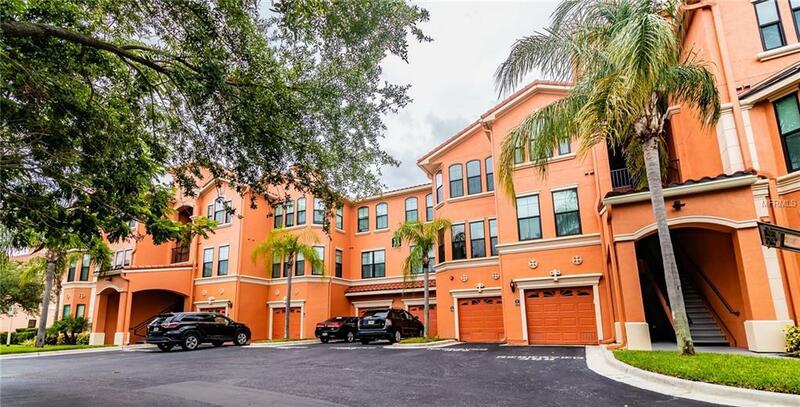 This unit is located on the 2nd floor (no elevator) and furnished with top of the line Tommy Bahama style furniture, tv's, kitchenware and linens. The dining/living area features neutral ceramic tile and carpeted bedrooms. The community amenities include a heated pool/spa, tennis courts, playground and free car wash area. Enjoy walking the 1.5 mile walking path overlooking Tampa Bay. Updated fitness center and 24/7 guard pavilion.